Happy Monday! I hope everyone had an amazing weekend. My weekend was pretty amazing. Last week I was able to spend some time in my garden. I finally planted some of my tomato plants. It honestly felt good to spend some time in my garden. The sun rises around 5 am and the sunsets around 7 pm. How cool is that?! Especially having such a harsh winter. It’s nice to really take in the full day. I love this time of year. Being able to be outside more. Also, it’s also officially the start of the countdown of the end of the school year for the kiddos. Michael will be completing his first year of high school. Looking forward to writing a post to hopefully inspire other moms with the experience of getting through the first year of high school. It’s also the start of our summer bucket list. I can’t wait to share with you guys some of the frugal summer fun ideas I have for the family. 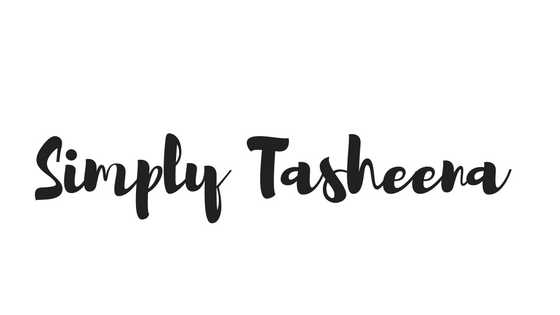 Anywho, I’m sharing what’s on our menu plan this week. Turkey bacon cheeseburgers sound AMAZING. I think I am going to add those to MY menu! I'll have to try the best chicken ever. I'm always looking for different ways to cook chicken. Your menu looks delicious. This looks like another great menu plan! Dinner at your place must be amazing! We love chicken so may try that sometime soon. 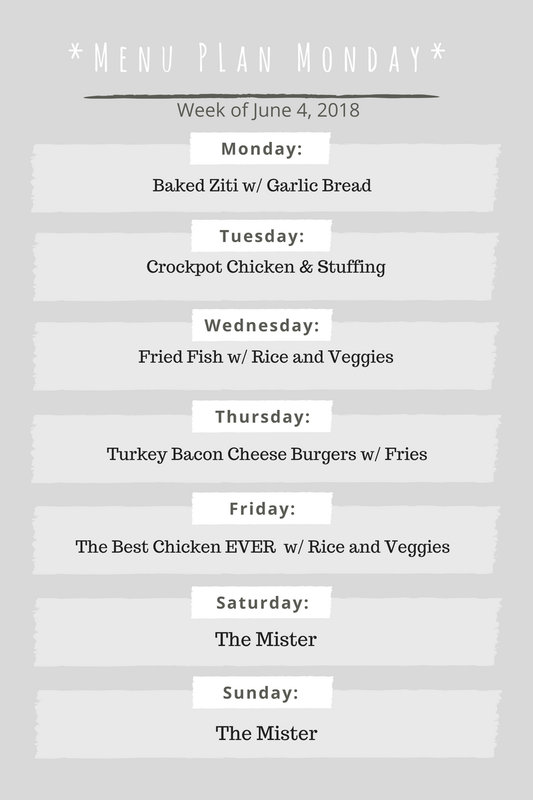 Your menu list for the week would work in my household. The family would enjoy all of your meal plans with no problem. Always like how the mister has weekend duty. Your menu list always sounds so tasty! I sort of have one started this week. I do know I'm ordering pizza at some point since it's the last week of school! That crockpot chicken and stuffing sounds delicious! I need to try it. I love doing menu planning. I am terrible I actually sticking to it but I really do love it. If I can stick to it and then the plan works well and I don't have to worry about what I'm going to make every single night. All of these foods look delicious. You have such a great weekly menu. Your family must love you for making all these meals and always switching up, no leftovers. It all looks good but it's been so hot here I don't want to bake or cook on the stove. For that reason anything in the crock pot sounds perfect! Great menu plan and thank you for always sharing these! I am so much better at sticking to a diet and a budget when I meal plan. I need to get back on track with it. That sounds like a great menu plan. My weekend why so good I was able to attend our church gatherings and visited my in laws with kids and afterwards we went to my parents house. Sounds like you had a lovely weekend. Here's to a better week ahead! I'm also very excited for the summer and the summer break! It all sounds so tasty! I love menu planning as it takes the hassle of trying to figure out something daily. It also lets my husband know to look at the board and just know what is coming instead of asking on the daily! I love that you always have a menu plan for the week. I tried doing that a couple of times but it doesn't always work.